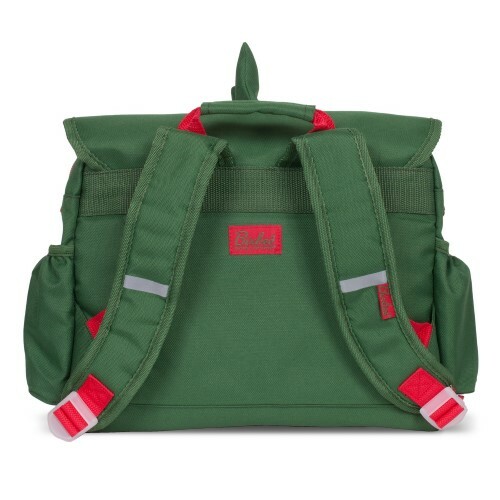 View cart “Penny Scallan Junior Messenger Bag – Big City” has been added to your cart. Hey dude—looking for a dino-mite way to take your imagination to epic proportions? 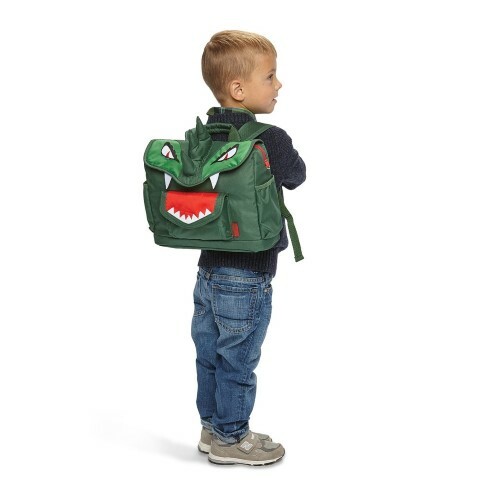 The Bixbee Backpack – Small – Dinosaur can take any day from Triassic to totally tubular with tactile, 3-D details. Kids will be stoked for “new” prehistoric adventures. Perfectly sized for your little one, this backpack features a patented horizontal design that keeps supplies within easy reach. The cover flap pocket opens to a main compartment with plenty of space for a folder, storybook, small blanket or sweater. Two interior slip pockets hold small necessities like pencils, and crayons. 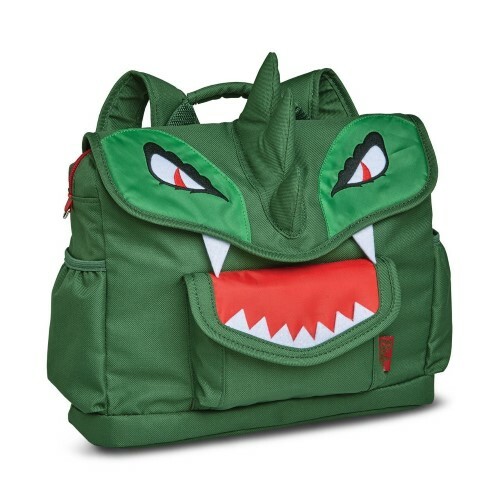 Even when it’s packed to the brim, this backpack rests comfortably on kid shoulders, thanks to contoured shoulder straps with cushy padding. 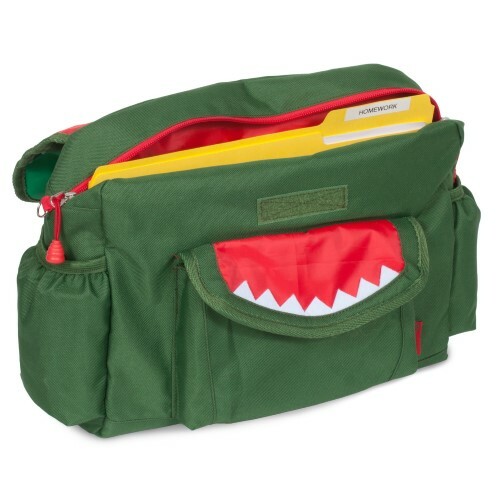 Four exterior pockets plus an ID holder under flap to keep your child organized. 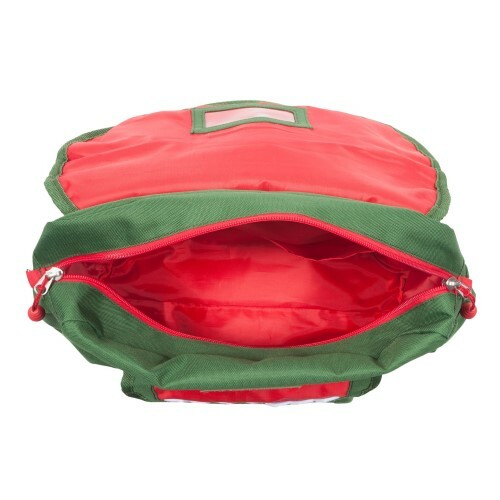 • Main compartment fits an A4 size notebook and is large enough for a sweater.